Most homeowners don't think about their washing machine hoses after they are first installed. Unfortunately, these inconspicuous and inexpensive plumbing components flood a lot of houses. Although it's easy to grab the first set of washing machine hoses you see, it’s a good idea to review all of the choices. 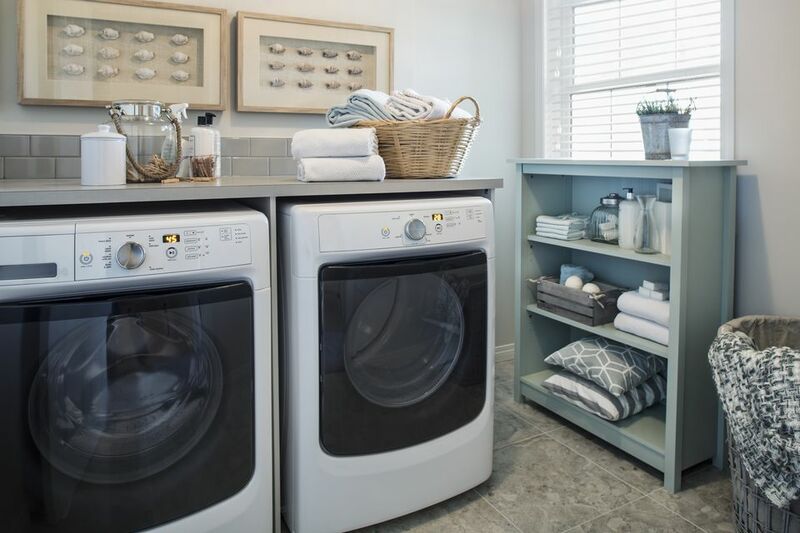 Selecting a good set of washing machine hoses is particularly important when a laundry room is located on the main level of the house. Regardless of which set of washing machine hoses you choose, you should replace them about every three to five years. It's also a good idea to check the hoses for damage or leaks about once a year as part of your regular plumbing maintenance. Many people are familiar with the standard washing machine hose made of reinforced rubber. They are relatively inexpensive to buy and easy to find. The reinforcement comes in the form of braided rayon or polyester mesh that makes the rubber stronger and less likely to burst. If your washing machine is inside the house, these hoses are not recommended because they are the most likely to burst. Note that there are non-reinforced hoses available, so check that the label specifically says they are reinforced. A standard washing machine hose made of reinforced rubber is a good basic choice when the washing machine is located outside the house. A stainless steel braided hose is the minimum recommended for indoor use. They are middle-of-the-road when it comes to price, but the added safety is worth the extra money. The braided stainless steel encases a rubber hose and provides a burst-resistant measure. These washing machine hoses have a lower failure rate than rubber hoses when properly installed. Note that in tight spaces when the hose may become bent or kinked, the braided stainless steel can dig into the rubber hose. Thus it's best to look for a hose that has an elbow at the end to prevent this problem. A stainless steel braided hose is better than the basic rubber hose and meets a minimum standard when the washing machine is located inside the house. For a few more dollars you can have additional peace of mind using auto-shutoff hoses. These are also stainless steel-braided hoses that can be used indoors. These hoses have a shut-off mechanism at one end as an added safety feature. If the hose bursts, the connector can sense the water pressure change and it stops the flow of water. This auto-shutoff device can mean the difference between a little water on the laundry room floor and extensive flood damage. There are a few variations in appearance and warranty based on brand. Auto-shutoff hoses provide the best safety features for added peace of mind. Proper installation is the first step in avoiding hose failure and flooding. Follow these tips for installation and maintenance to help prevent costly flood damage. Buy proper length hoses when installing a washing machine or replacing old hoses. Select a length to fit the space rather than trying to force a proper fit. Allow enough space between the wall and the machine to avoid kinks in the hoses. Aim for 3 to 4 inches but adjust as needed to avoid sharp bends in the hoses. Inspect washing machine hoses regularly. At a minimum, check the hoses once or twice a year. Keep an eye out for kinks, damage, rust or snags in the braided stainless steel along with signs of a leak. Shut off water supply valves when not in use and when you will be away from home such on vacation. The constant water pressure on the washing machine hoses can contribute to hose failure. Replace washing machine hoses regularly. Read the manufacturer’s recommendations and install new hoses as suggested.